Ever poured your pancake batter onto your pan, watched the bubbles form, tried to flip it…only to create a big, stuck, infuriating mess? It means you don’t have the right pan. 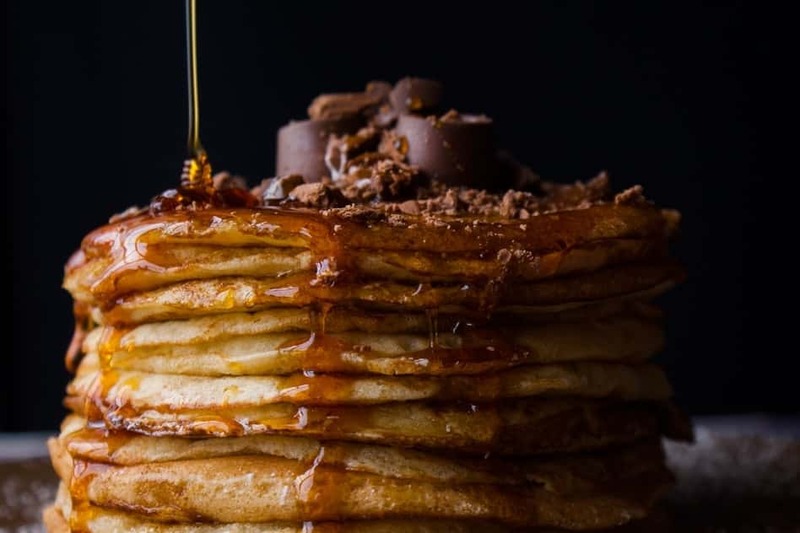 You’ve come to the right place, as we have created a mini guide to finding the best pan for cooking pancakes hassle free. And one step further…we’ve found the best pan so you don’t have to search far. We’ve chosen 3 pans for you, all with amazing features and a few variations to suit different pancake styles. Non-stick: this is absolutely crucial. Because pancake batter is so wet and sticky, it’s primed to become stuck to an unsuitable surface. If your pancakes stick once you pour the batter onto the pan, there’s not a lot you can do. You can try to dislodge them with a spatula but they’ll likely just bunch up and become a big mess. A proper non-stick surface will keep the pancake from bonding with the pan, allowing for a smooth, stress-free flip. 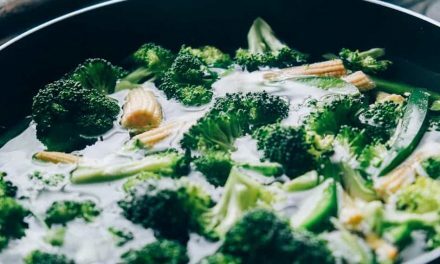 There are lots of non-stick options out there, (and safer ones than Teflon) many of which are made from hard-anodized aluminum with a safe, non-stick coating over top. Even, flat surface: a pan with an uneven surface, (perhaps from warping) will result in patchy pancakes. 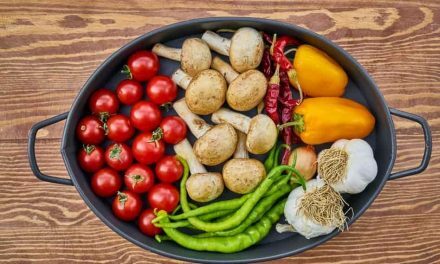 To ensure a flat surface, a pan made from a thick, durable material with a thick bottom is ideal. If you’ve ever cooked on a frying pan with a convex, curved surface you’ll know how frustrating it is. Even heat distribution: some pans tend to have “hot spots” which means you have to keep shifting the pan around on the element. It also means you end up with darker patches on your pancakes, as opposed to that even goldenness we love. Large size: this one isn’t absolutely crucial, as you can make pancakes in a small pan. However, a larger pan gives you the option of making larger batches in a shorter amount of time. Flip-friendly shape: when flipping pancakes (and omelets for that matter), it can be very handy to have a pan with a curved edge. You can slide the pancake toward the edge, making it rise up the side very gently, flipping back onto the spatula. Pans with either extremely shallow edges or very straight edges make this very difficult. Our pick of the best pans for cooking pancakes are as follows. Calphalon is a well-trusted American brand. They are known for their hard-anodized aluminum cookware and non-stick surfaces. This 2-piece frypan set we have chosen has a very high rating and many thrilled customers singing its praises. Non-stick surface: two layers of non-stick coating have been added to the hard-anodized aluminum base. This gives the pancakes that crucial “slide” you want when flipping and removing them from the pan. A non-stick surface also makes clean up far easier as it just needs a quick wipe down. What’s more, you don’t need to use as much butter or oil to cook your pancakes with, as the pan is already non-stick. 2 size options: you get an 8-inch and a 10-inch frying pan. This is great because it means you can cook your pancakes in the big pan, and have bacon or bananas frying in the little pan at the same time. The joys of a 2-piece set! Even heat distribution: the hard-anodized aluminum material has been crafted to distribute the heat evenly around the pan. Many, many customer reviews confirm that this pan definitely delivers on this. Your pancakes will be evenly-cooked, even-colored and smooth. Cool-touch handle: the handle is made from stainless steel and is nice and long for total control. It has been riveted to the pan with a big gap between the pan and the handle, this keeps the handle cool. When cooking pancakes, we tend to hold the pan handle a lot when we flip the pancakes, to steady the pan. It’s really annoying having to grab a tea towel or mit every time we flip, in order to save our hands! Curved sides: as previously mentioned, curved sides make pancake flipping all the better. 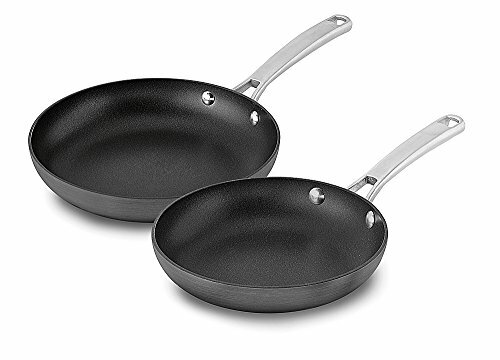 Both of these Calphalon pans have lovely, curved sides with a reasonable height. This aids in flipping, and also adds a bit of depth if you were to cook something a little bulkier in the same pan. Versatile: and finally, we chose this particular pan for you and your pancake needs partly because it is very versatile. It is oven-safe up to 450 degrees Fahrenheit. This will come in handy if you’re done cooking your pancakes but you want to keep them warm in the oven till they’re needed. You can pile the pancakes into the pan and throw the whole thing into the oven. Cuisinart is a very well-respected brand in cookware, and for good reason. They represent impeccable quality and user-friendly design features. We chose this crepe pan for those of you who like a thinner, wider, more “French Classique” pancake style. 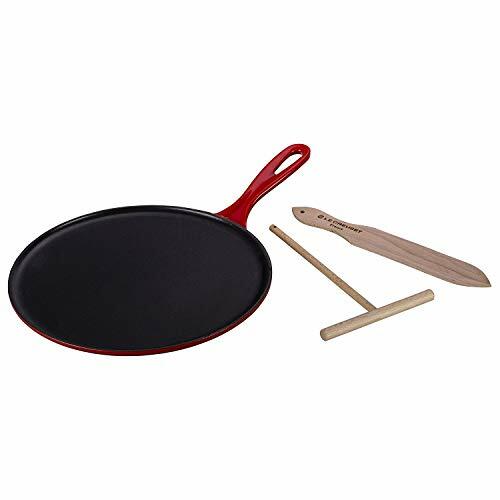 Nonstick: it has a high-quality non-stick surface to keep those crepes and pancakes sliding free. Great handle: the handle is large, curved, easy to wield and remains cool to the touch during cooking. It’s made of stainless steel so it looks great too. Lightweight: …but still very sturdy and well-made. We like the light weight of this pan because it means you can flip pancakes with the pan (if you have the skills!). It’s also just very easy to wield and wash.
Great price: the price is minuscule for the quality it offers you. It has a lifetime warranty too, so if something were to fault, you’re totally covered. Le Creuset is another brand whose name is synonymous with high-end quality and reliability. We’ve chosen this crepe pan for serious pancake makers. 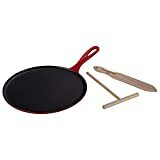 It has been designed especially for authentic French crepe making, and comes with the tools to help. However, you could make omelets and regular pancakes with this pan too. Great materials: this pan is made from enameled cast iron. Cast iron is fantastic because it distributes heat very evenly, giving you evenly-cooked pancakes and crepes. It has an enameled surface that is made for high heats. 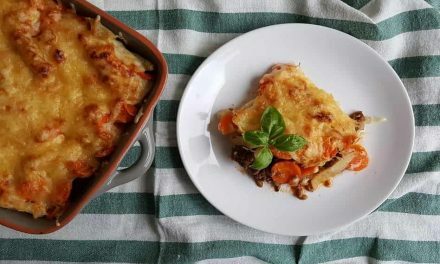 Non-stick: the surface of the cast iron has been treated to give a non-stick, high heat resistant surface. No stuck pancakes here. A touch of color: we really like the cherry red color on the handle and external surface. It won’t affect the cooking, but it sure looks stylish in the kitchen. Non-reactive and easy to keep: you don’t need to season this pan, (like you do for most cast iron cookware), and it won’t react with acidic foods either. 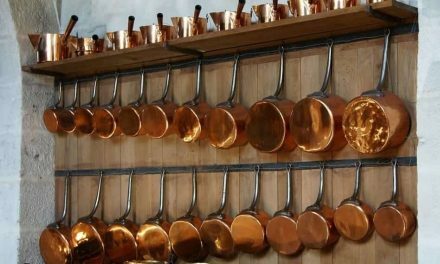 This makes things all the easier when cleaning and caring for your pan. Extra tools: the pan comes with a special Le Creuset crepe rateau spreader and spatula, both wooden and high quality. This is perfect if you’re a regular crepe maker and you want to step it up with a more authentic process. A successful pancake session requires a very specific pan. It needs a non-stick surface, even heat distribution, a cool handle and curved sides. And voila, we found the perfect ones for you. Go and take a closer look at these ideal (and actually very affordable) pans from Calphalon, Cuisinart and Le Creuset, and get ready for a regular pancake feast.